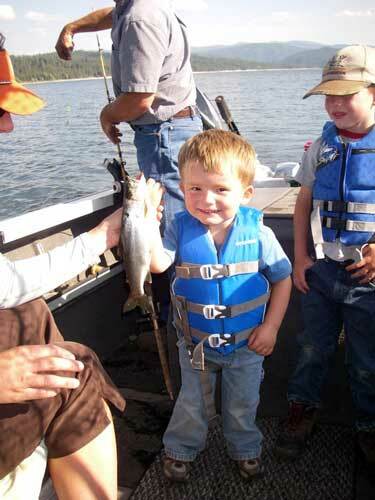 Family and fun go together at Deadwood Outfitters near Cascade, Idaho. 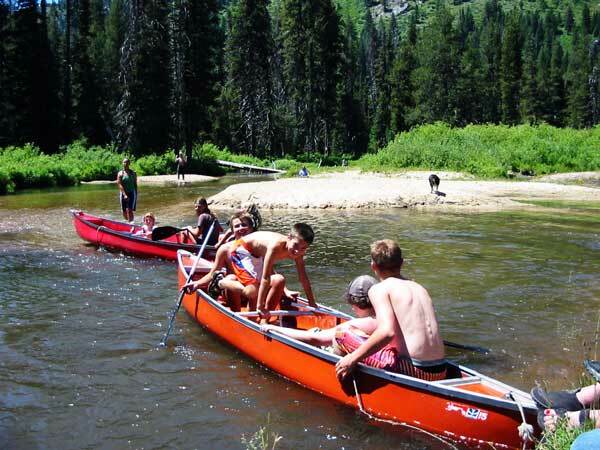 Bring your family and friends and spend quality time together enjoying numerous outdoor activities amidst the Idaho Boise National Forest and Frank Church River of No Return Wilderness Area. 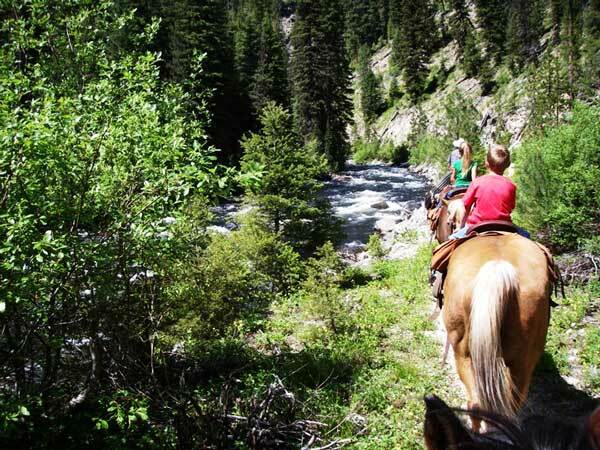 Our family friendly vacations includes outdoor recreation activities that offer something for everyone; swimming, boating, fishing, horseback riding, hiking, photography, and even bird watching. 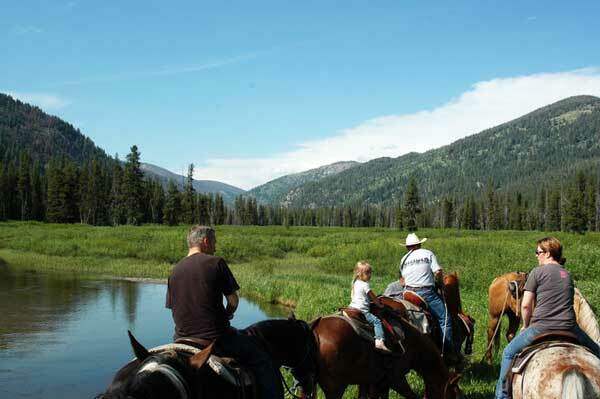 Deadwood Outfitters takes great pleasure in custom planning your Idaho vacation to fit your individual tastes for your desired length of time from; Idaho day trips, to weekend getaways, to extended stays at Deadwood Outfitters Cabins & Lodge. 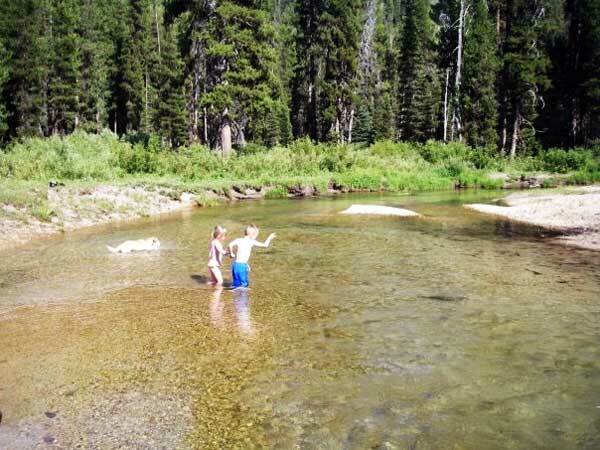 Plan your family wilderness vacation any time of the year. 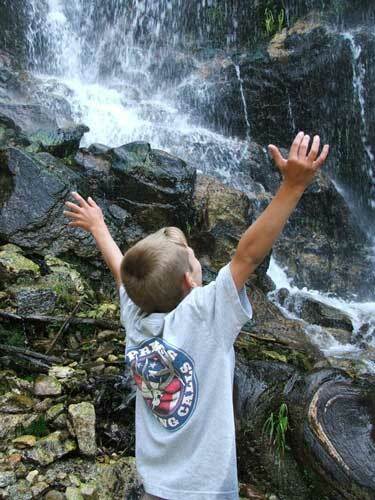 At Deadwood, every season is magical: blanketed in snow during the winter (Check out our Idaho Family Winter Vacations); covered with wildflowers in spring; surrounded by lush, green, river fed mountains in summer; enchanted in the mystique of leaves turning vibrant colors as they whisper the coming of fall. 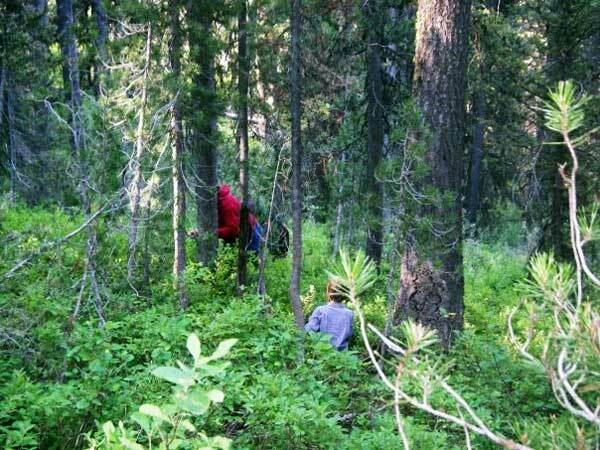 Come to this playground set by nature, where our family owned and operated Deadwood Outfitters hosts will supply you with the equipment and benefit of our experience to ensure you and your family a wilderness vacation to be remembered! $210/Day + tax per person. Call for a special group and children's rates that may apply. We can accommodate groups up to 30. At the heart of the camp is the main lodge. Here, you will find a warm fire burning and a gathering of people sharing your love of the outdoors. Play a game, relax on our tree swing or comfortable deck, practice your artistic talents, or take a soak in our wood-fired hot tub under the stars of the night. Take a nap on our hammock as it rocks gently in the breeze. 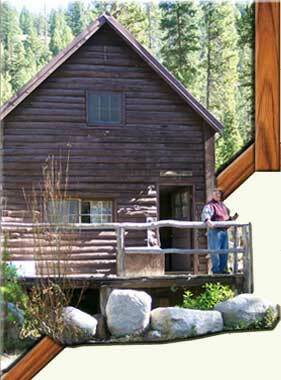 Stay in one of 3 two-story cabins (sleeps up to 12 people) hidden amongst tall pine trees. As the morning sunlight filters through your cabin window, you will likely smell the welcome aroma of food cooking nearby. Roll out of bed and take a short stroll through the woods to the lodge. Sit down for a piping hot cup of coffee as we finish setting out a hearty, home cooked, hot breakfast for you. We guarantee your day will start with a full stomach. "I WANTED TO DROP A QUICK NOTE TO ONCE AGAIN say how much we enjoyed our vacation at Deadwood this summer. We don't normally go to the same place twice but we both agree that we would love to spend more time in Idaho. 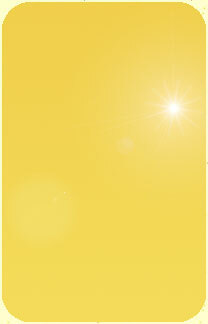 We will definitely be back." 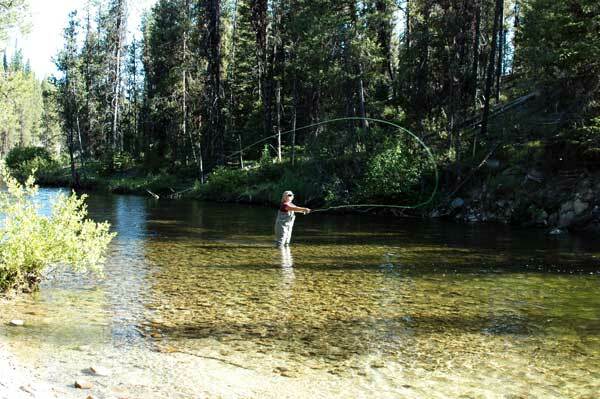 During the day you may want to venture out riding well-trained mountain horses along beautiful streams or to high mountain lakes; or pack along your camera on a nature hike to photograph birds, wildlife, and fantastic scenery; or drop your pole in Deadwood River for some fantastic fly fishing just 50 yards from the lodge. At dinner, sit with friends and family. Talk about the adventures of the day. We'll provide a buffet style feast that rivals your best meals anywhere. If you retreated to your cabin before dinner, you will be drawn back by the laughter and good cheer that echo through the trees. Listen to the stories of others and share your own. Many of our guests make friends that last a lifetime. Throughout the day, we also offer snacks, beverages or a sack lunch. We are happy to work with you on special dietary needs as well.